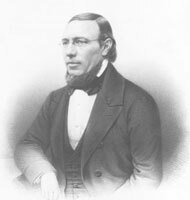 Fritz Spindler, (born Wurzbach, Germany, November 24, 1817 – died December 26, 1905, Niederlößnitz (Radebeul), Germany), was a German composer and pianist. His legacy of more than 400 opuses includes chamber music, instructive sonatinas, symphonies, a number of salon pieces and character pieces for piano, four-hand works and many others. Unfortunately, not much is known about his life. Fritz Spindler was born at Wurzbach, near Lobenstein. Initially he studied theology and wanted to become a pastor, but soon he dropped out in favor of music. In 1835 Fritz studied piano with Friedrich Schneider in Dessau. Since 1841 he lived and worked in Dresden. Spindler devoted his life to teaching and compositing. Fritz Spindler was a very prolific composer, during his life over four hundred compositions were published, most of them were written for piano.